Appointed by Governor Mills E. Godwin, Jr. on August 29, 1969, to fill the vacancy created by the retirement of Archibald C. Buchanan and began his service on October 1, 1969. Elected by the General Assembly on January 29, 1970, to complete the unexpired term of Buchanan. Elected on January 29, 1975, to a regular 12-year term beginning February 1, 1975. Service terminated by retirement. Appointed, “Two Named To Virginia High Court,” The Washington Post, Times Herald (1959-1973) [Washington, D.C.], August 30, 1969: B2; qualified, 210 Va., iii; elected to complete the unexpired term of Buchanan, Journals of the Senate of Virginia, 1970 Regular Session, 153; elected to a regular 12-year term, Journals of the House of Delegates of Virginia, 1975 Session, 476; retired, 220 Va., iii; birth, education, and career, transcript of portrait presentation on October 5, 1987, published in 236 Va., xi-xxiv; “Harman, Cochran to Go on State High Court,” Richmond Times-Dispatch, August 30, 1969, p. 1; law degree, Martindale- Hubble Law Directory (Summit, NJ: Martindale-Hubble, Inc., 1954), 2262; death, Richmond Times-Dispatch, November 2, 1996, B2; portrait, Library of Virginia catalog. 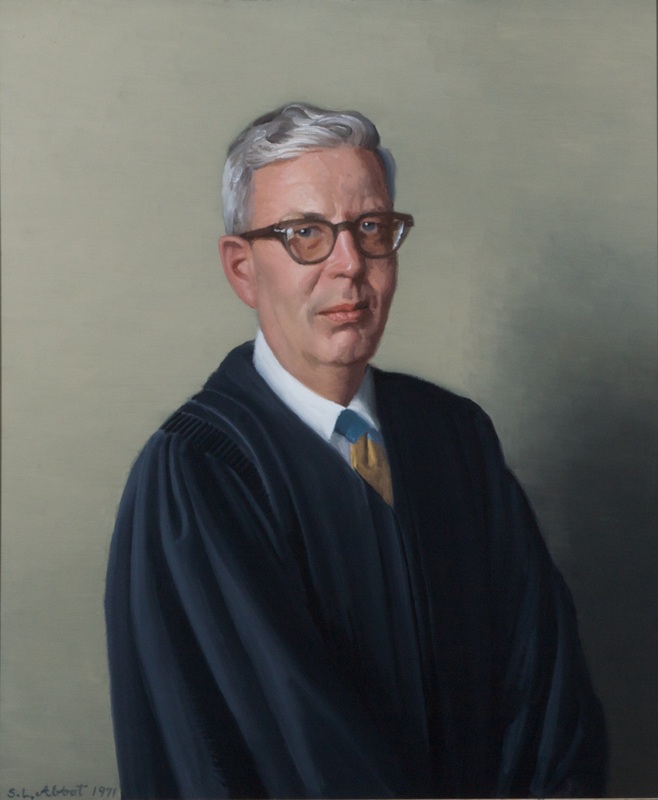 Justice Harman continued to serve the court as a senior (retired) justice from January 2, 1980, to March 1, 1986; 220 Va., iii. See also Robert J. Ingram, A Tribute to Alexander M. Harman, Jr., Washington & Lee Law Review 865 (1997), retrieved on March 19, 2014.